CHARLOTTESVILLE, Virginia — Authorities have identified a suspect who rammed a crowd of protesters during a white supremacist rally Saturday in Charlottesville, Virginia. 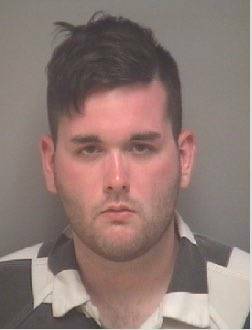 According to The Daily Progress newspaper, James Alex Fields Jr., 20, of Maumee in Lucas County, has been charged with second-degree murder, three counts of malicious wounding, and failing to stop at the scene of an accident that resulted in a death after a car plowed into a crowd on the Downtown Mall in Charlottesville. A 32-year-old woman was killed and 19 others were injured in the crash that occurred Saturday afternoon. Fields is in custody at the Albemarle-Charlottesville Regional Jail. Charlottesville Police Chief Al Thomas said 35 people were injured during the Unite the Right rally, staged by white nationalist groups in a local park, but that eventually spilled over into other parts of the city. Two Virginia State Police troopers died in a helicopter crash on Saturday near Charlottesville. They have been identified as H. Jay Cullen of Midlothian, Virginia, and Berke M.M. Bates of Quinton, Virginia, according to The Daily Progress. Bates would’ve have turned 41 on Sunday. The troopers in the helicopter were assisting law enforcement on the ground during the Unite the Right rally on Saturday. The cause of the crash has not been determined. Reach Andrew Carter via email at acarter@aimmediamidwest.com and follow him on Twitter @DelOhioEditor.